Jacob Blount, planter, entrepreneur, politician, and Revolutionary War paymaster, was born in Beaufort County in 1726 to Thomas and Ann Elizabeth Reading Blount. Although he was from a prominent family, nothing is known of his early life or education. In 1748 he married Barbara Gray of Bertie County, where the couple lived for some time near Windsor. By 1759 the Blounts moved to Craven (later Pitt) County, where Jacob amassed a plantation of about 6,000 acres. Blount was a justice of the peace in Bertie and Craven Counties, and represented the latter in the General Assembly in 1766, 1768, 1769, and 1770-1771. Although most sources report that Blount fought for Tryon at the Battle of Alamance, there are no records to support this. His business partner, Richard Blackledge, served as commisary general to the expedition, so it is possible Blount contributed to the effort. He was a member of the Pitt County Committee of Safety and served in the first, third, and fourth provincial congresses. 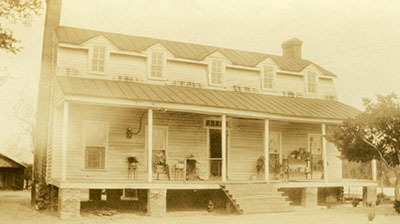 Blount was initially appointed paymaster to the Second Regiment of the North Carolina Continental Line and later served in that capacity for the province. Jacob Blount built Blount Hall sometime prior to 1762 in what would eventually be Pitt County. It was located sixteen miles southwest of Greenville and stood, though altered in appearance, until the 1960s when it was destroyed by fire. 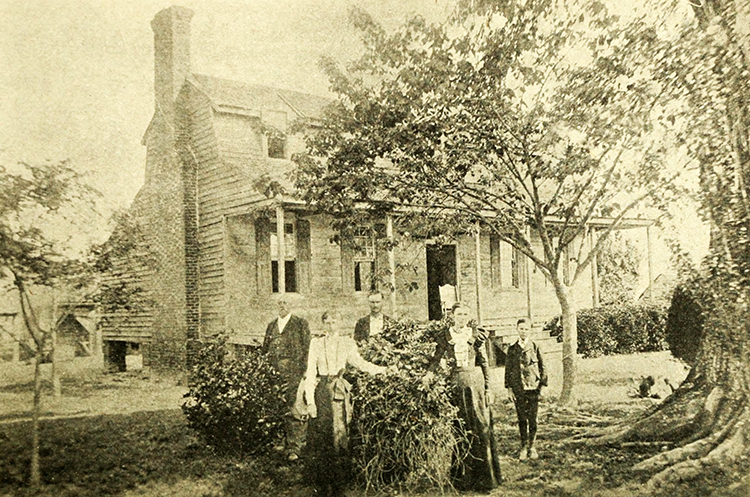 Jacob and Barbara Blount had seven children, William, Ann, John Gray, Louisa, Reading, Thomas, and Jacob. When Barbara died, Jacob married Hannah Salter Baker, fathering five more children, two of whom lived to maturity—Willie and Sharpe. After Hannah died, Jacob married Mary Adams. Blount died at his home August 17, 1789, leaving a legacy of civil and military service and of business acumen which his family would continue. King, Henry T. (Henry Thomas), b. 1861. Sketches of Pitt County, a brief history of the county, 1704-1910; illustrations and maps. Raleigh, Edwards. 1911. http://archive.org/details/sketchesofpittco00king (accessed May 28, 2013). "Blount Hall, Pitt County, N.C., built ca. 1745 (ca. 1945) Note: Blount Hall was the birthplace of Thomas Blount, the brother of William Blount who signed the Constitution." Photograph. Circa 1945. Francis M. Manning Collection. East Carolina University Digital Collections. http://digital.lib.ecu.edu/12831 (accessed May 29, 2013). "Blount's Hall." Photograph. Sketches of Pitt County, a brief history of the county, 1704-1910; illustrations and maps. Raleigh, Edwards. 1911. 52. http://archive.org/stream/sketchesofpittco00king#page/n59/mode/2up (accessed May 28, 2013).